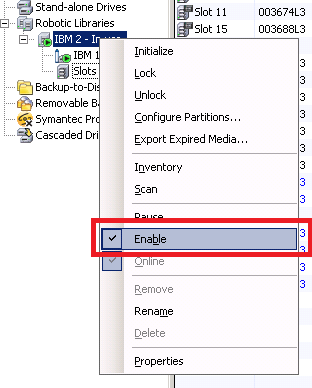 In Symantec installation directory look for file tapeinst.exe file and run it. 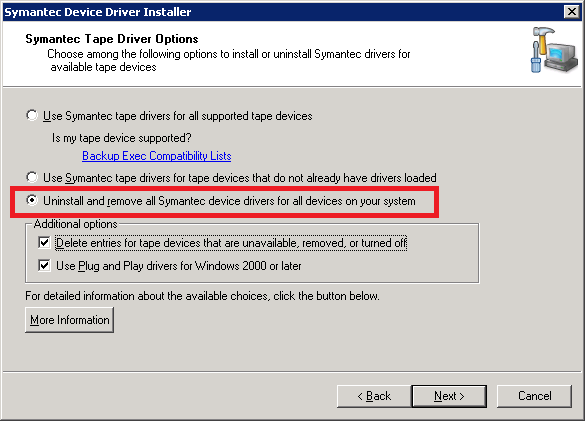 Choose to “Uninstall and remove all Symantec devices…” and run it. This is really straightforward process without need of any explanation. Sometimes this process doens’t work and you need to change SCSI ID if your library allows it. I am part of the BE Product Mgmt team. Keep up the good work! Thank you. When do you think Backup Exec will support Windows Server 2012? 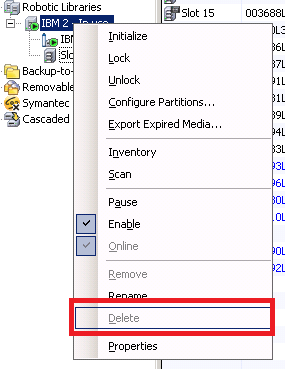 Matt, support for Windows Server 2012 deduplicated NTFS partitions is really really poor. We waited for this support couple months and now we are disappointed.